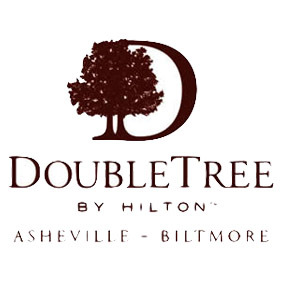 Welcome to DoubleTree by Hilton Hotel Asheville – Biltmore, located just one block from the entrance of the historic Biltmore Estate. Our Asheville hotel was once an integral part of the Biltmore Estate and features stunning Vanderbilt-inspired gardens. The hotel offers a flexible meeting space for special occasions for up to 400 people in the elegant Burghley Ballroom or the picturesque courtyard at our Asheville, NC hotel. Discuss business in our modern boardrooms or celebrate a wedding or special occasion in the ballroom.